I love how it turned out even if Claire’s thumb doesn’t really look like a thumb. Rotating the thumb around while holding her on your lap and sticking her hand into ink…….not easy! I do have to say there was no crazy messes with ink so I call it a win!! I used the Make a Difference Stamp Set for the letters and it was really easy to line up the letters and stamp them. I did not line them all up and stamp as one word on the block. Instead, I stamped 2 letters (T & u) and then lined up the 2 in between (h & m). This makes your letters match up better since the photopolymer around the letters sometimes doesn’t allow for a super close stamped letter. It really wasn’t all that hard though since they are photopolymer. If anything I wouldn’t ever suggest writing much more than this greeting as it isn’t really all that quick. The hardest part was probably finding the letters on the big sheet of stamps. 🙂 I swear some letters took me 5 minutes to find. Also, making sure I was spelling it correctly since it was stamped slowly and in pieces. After stamping our thumbs in Blushing Bride, I used a Basic Black Marker to color in some of the faces. 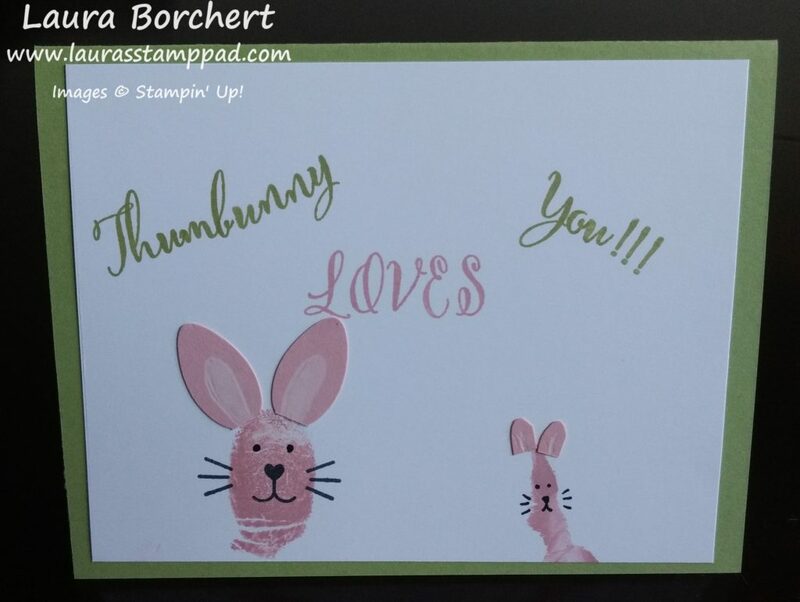 I also used the March 2017 Paper Pumpkin Kit for the whiskers and the face on my bunny. 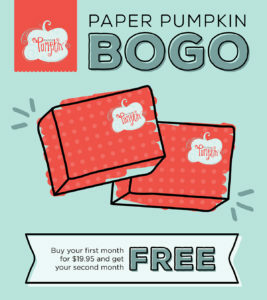 Paper Pumpkin stamps always come in handy down the road. I have used various greetings and images from past months many time! For the ears on my bunny, I used the Christmas Bulb Builder Punch and then colored in the center with the Whisper White Watercolor Pencil. I free-handed the ears for Claire’s bunny. This is the top of the inside of the card and then I wrote on the bottom of the inside of the card! Claire really didn’t want to spread that thumb out so her hand has 4 fingers and a blob. I love it though and Brad does too!!! I’m sure these will get even more crazy as the years go on! Let’s hope I can keep coming up with more ideas! I hope you all have a wonderful day today and leave your Birthday Wishes for Brad in the comments and I’ll read them to him tonight! Happy Monday!!! 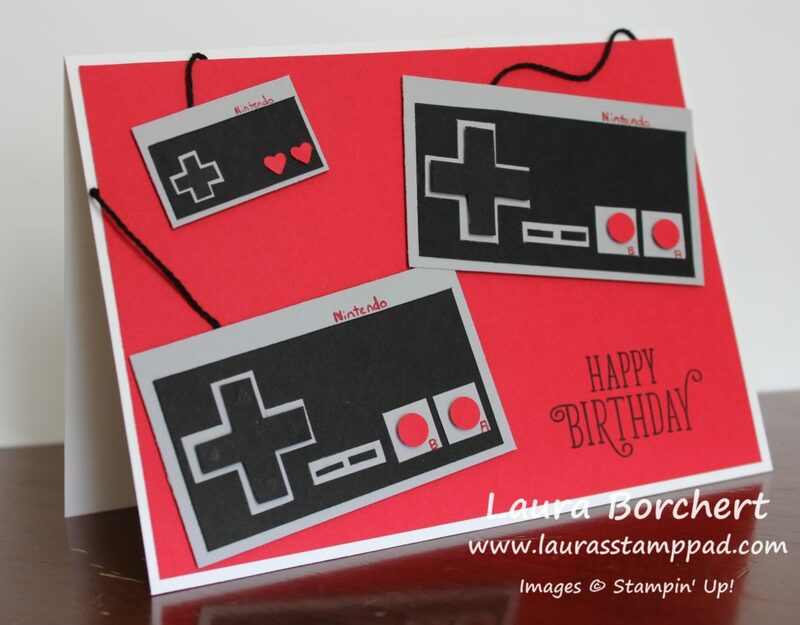 Yesterday was Brad’s Birthday and so today I’m sharing his Nintendo Birthday Card!!! I think it turned out really cute and Brad loved it. It’s not exactly like a controller due to some things I couldn’t really recreate but it’s pretty close. I had to write the A & B and Nintendo on the gray because it wouldn’t show up on the black. Also, I wasn’t able to put the gray area down the center because spacing was difficult. Trying to scale things correctly is probably my hardest part of making these cards! 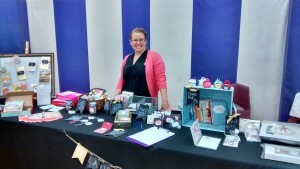 You can check out some of my past creations here, here, and here! I started with a piece of Whisper White for my card base and made it s 5″ x 7″ card! I knew I needed a larger card for this concept or those little pieces would be even smaller. 🙂 Next, I took a piece of Real Red (4-3/4″ x 6-3/4″) and layered it on top! For the controllers, I used Smoky Slate as the base and Black Baker’s Twine as the cord! For all of the decorations, I hand cut them out except the red circles and hearts which were punched out with the Cookie Cutter Builder Punch. I really wish I could have punched more out but the pieces were so oddly shaped. Thank goodness for my Stampin’ Trimmer to get those small pieces though! The greeting was stamped from the Happy Birthday Gorgeous Stamp Set. He loved it and that’s all that matters!!! I don’t always make custom cards but when I do it is fun and makes it even more special! Do you like to make custom cards for family and friends?? Let me know in the comments below!! Happy Monday!!! I hope you are having a wonderful day whether you have today off or not! I thought I would do a Birthday Bash Recap!!! It was such a wonderful day…..month!!! I had a wonderful Birthday complete with unicorn cupcakes, gifts, cards, and amazing people! 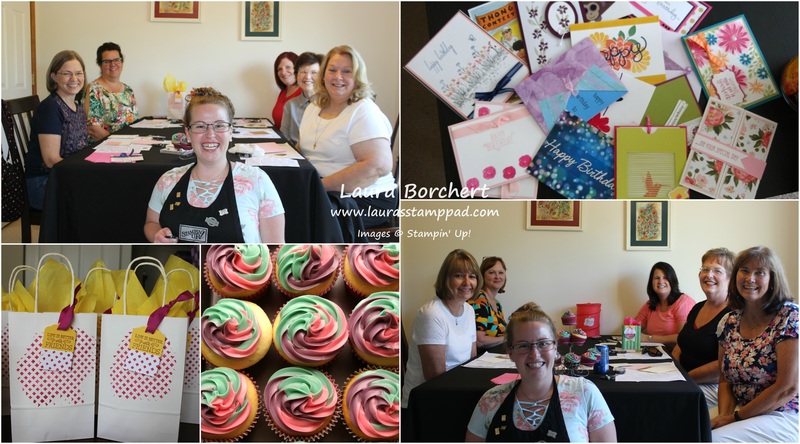 Each year, I like to have a Birthday Stamp Class and this year the 2 happened to fall on the same day! We all enjoyed laughs, cupcakes, and presents! These amazing ladies really know how to make me feel special!! My online special was a bit hit as well. I’m glad all of you were able to celebrate with me. Thank you so much for your sweet comments!!! I really appreciate each and every one of you! With the Holiday Mini Catalog out, I thought I would do a fun party showcasing all the amazing-ness! I’m doing this party online so that those who live near and far can participate! Check out the Holiday Mini Catalog here and check out the party on Facebook where I will be showcasing lots of samples, products, and fun! The party started today and will run through Wednesday. 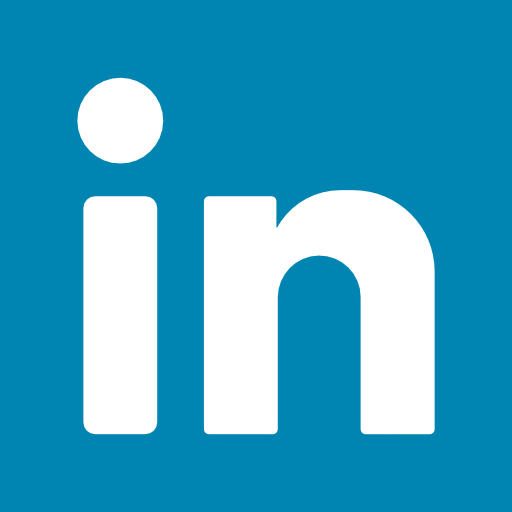 Click here to join in the fun!!! 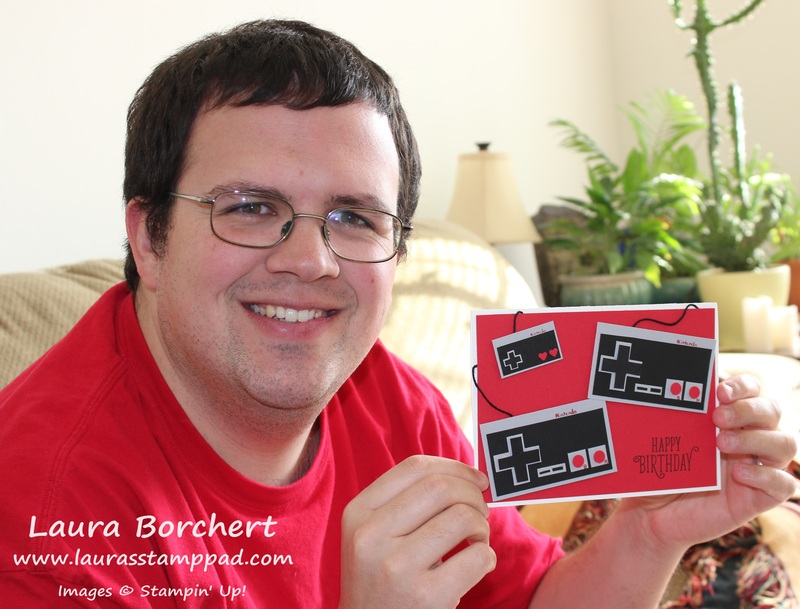 Today I’m sharing with you the card I made for Brad for our 6th Anniversary! I just love making cards for him that are super special! You can see some of the past ones I have made here, here, and here! I started with a Whisper White card base and rounded all the corners with the Corner Rounder Punch for a soft look. Next I layered on a piece of Chocolate Chip (4″ x 5-1/4″) rounding the corners before adhering it on. I used the Layering Circles Framelits and Crumb Cake to create the face. At first, I overlapped all of them but thought it looked too bulky. To solve that, I laid the two circles for the eyes over top of each other and traced the portion of the circle overlapped. I could have cut it with scissors but since I wanted a smooth look, I slide it into a Circle Punch and lined it up. That worked perfectly. I added the two circles and overlapped the third one. Using the Early Espresso Marker, I created the adorable little nose and mouth. For the eyes, I die cut the circles with the Layering Circles Framelits in Perfect Plum cardstock. I added some glitter with the Silver Dazzling Details. 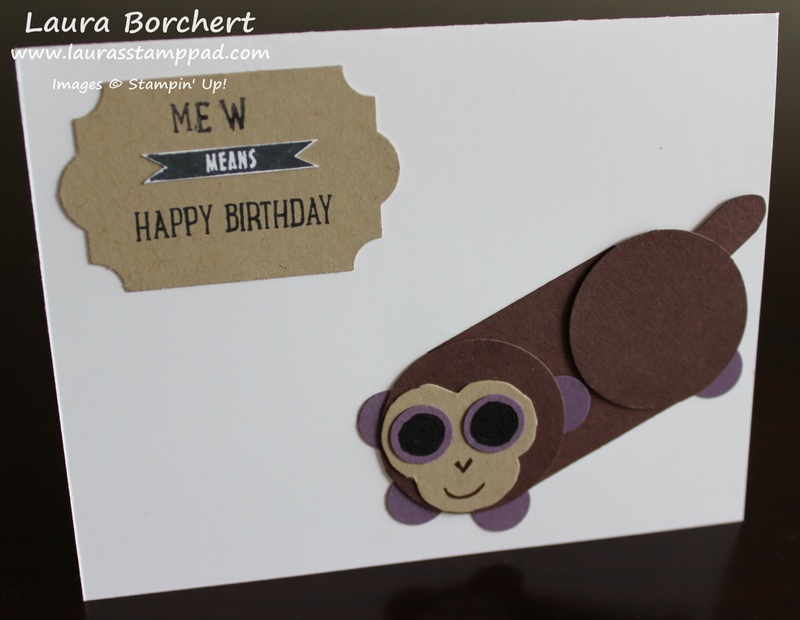 For the center of the eye, I used the 3/4″ Circle Punch to punch out Basic Black cardstock. 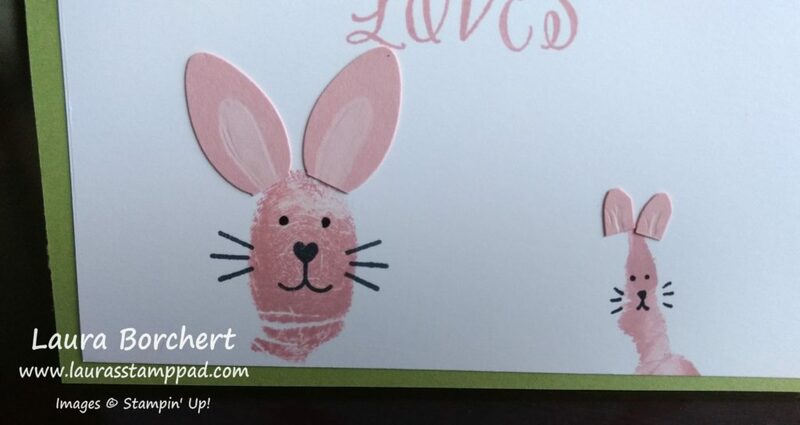 Next, I added these to the eyes with a Stampin’ Dimensional. So that the eyes would look all glossy, I added lots of Fine Tip Glue Pen glue to the black centers. Once all of this was dry, I added the eyes to the card front. Now the little monkey has a face!!! For the ears and hands, I punched out Perfect Plum with the 1-1/4″ Circle Punch. I cut the circles in half and adhered them to the card front. For a little sparkle like April’s, I brushed over them with the Wink of Stella Pen. Isn’t it just the cutest?!?!?! I love coming up with a new idea for cards for my husband! It usually involves lots of punches as I am not the best with free-handing it. Do you like to make special cards for those in your life? Let me know in the comments below! It was my husband’s birthday last weekend and so we all know I had to make him a special card for his Birthday! You can check out some of the past cards I have made here, here, and here! 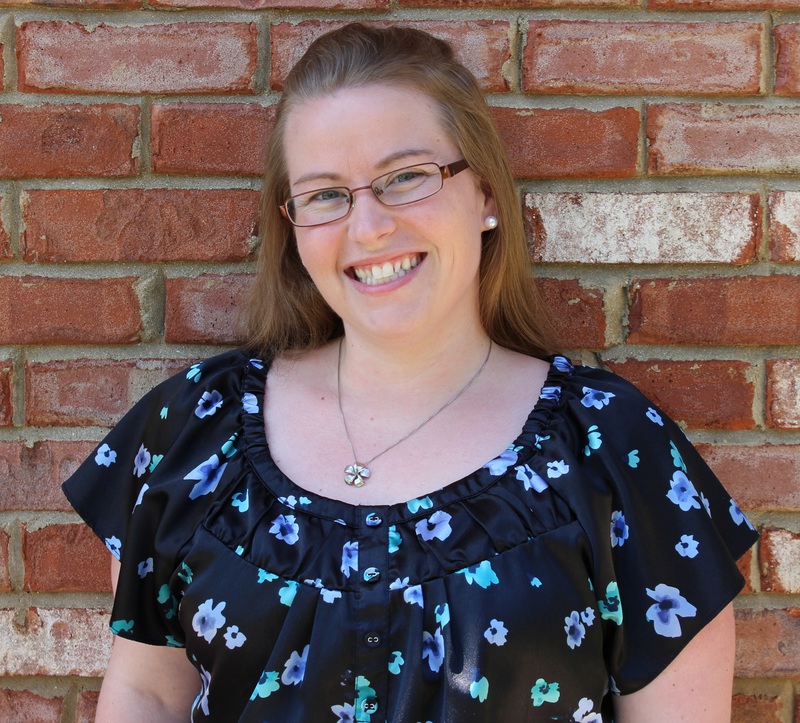 Well here is the card for this year……drum roll……. 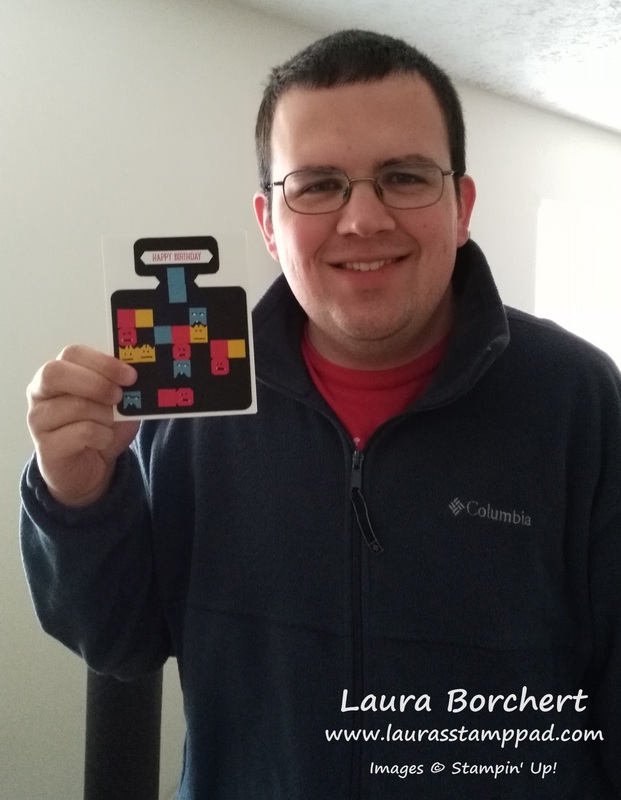 There he is with his Dr. Mario Card that I created! If you know him or checked out the past cards I have made, you will see a theme going on here. He loves video games and Mario! After all we had Mario and Peach as our cake topper at our wedding! 🙂 So naturally, we got up early to go wait in line at Target in November to get the Nintendo Classic Mini. Brad then introduced me to Dr. Mario and I think I’m more addicted to it then he is. Every evening we battle each other so when I needed to make his birthday card, this came to mind! While it may not look exactly like the Dr. Mario game, it was made with love and all my heart!!! I started with a Whisper White card base. Then I took a piece of Basic Black and rounded the corners with the Corner Rounder Punch. I used the Classic Label Punch to do the indention on both sides towards the top. Since it was such a tight spot, I had to round those bottom corners on that top rectangle by hand. I couldn’t fit the punch in there. For each of the blocks and “viruses” I used Real Red, Marina Mist, and Crushed Curry cardstock. I used a Basic Black Marker and Chalk Marker to create the little faces! I am not an artist at all and prefer to leave it to Stampin’ Up for the creative stamps. Drawing is not my thing but I did my best. 🙂 For the greeting, I stamped it from the Sweet Cupcake Stamp Set and punched it out with the Classic Label Punch. I did cut a few too many little blocks so I added a few to the inside as well! He loved it and knew exactly what it was when I gave it to him! That’s all that matters. 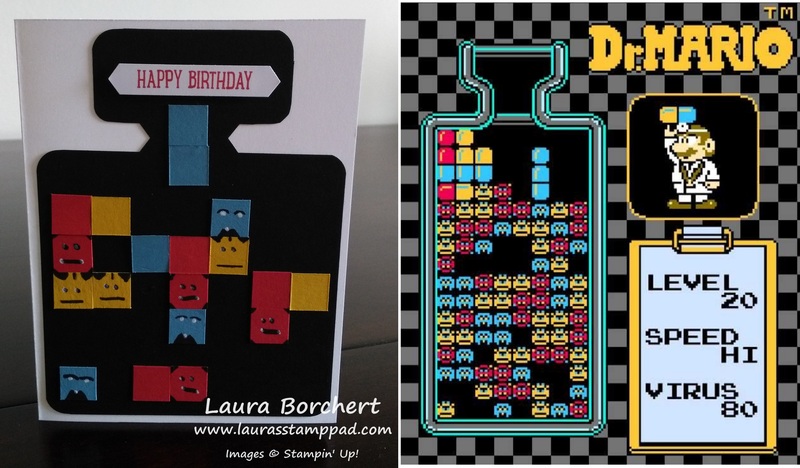 I love playing with Punch Art and getting creative to make a one of a kind card for those I love. Do you like to make super specific cards for others? 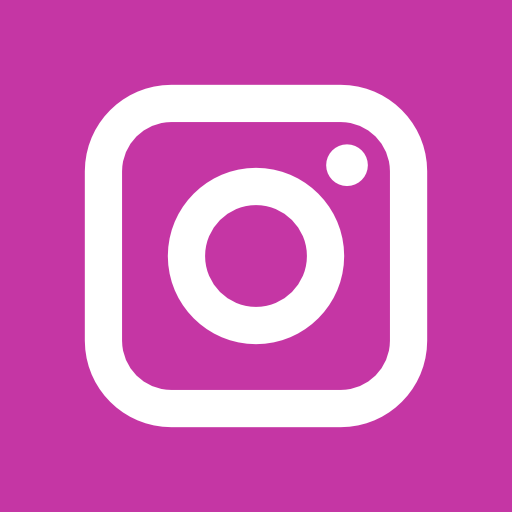 Share in the comments one of your creations or ideas! I would love to hear from you! 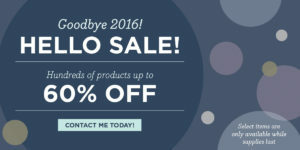 Don’t forget to shop the Year End Clearance Sale!!! 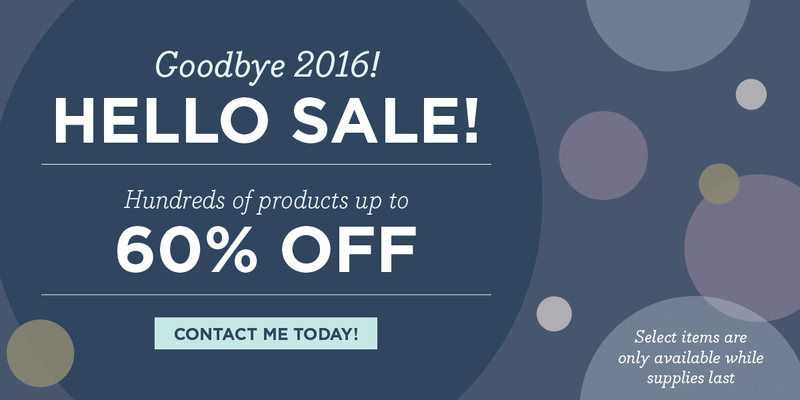 Click here to check out the fabulous products!!! Here it is!!!! This is my birthday card from my husband! I love love love it. Monkeys are my favorite in any shape or form! I have this on display because I just can’t help but look at it daily! He really did well this year!!! He used lots of my retired punches – Word Window Punch and Artisan Label Punch. He also used the Ovals Framelits. The balloons were created with the Balloon Bouquet Punch and then he drew the lines with a Basic Black Marker. 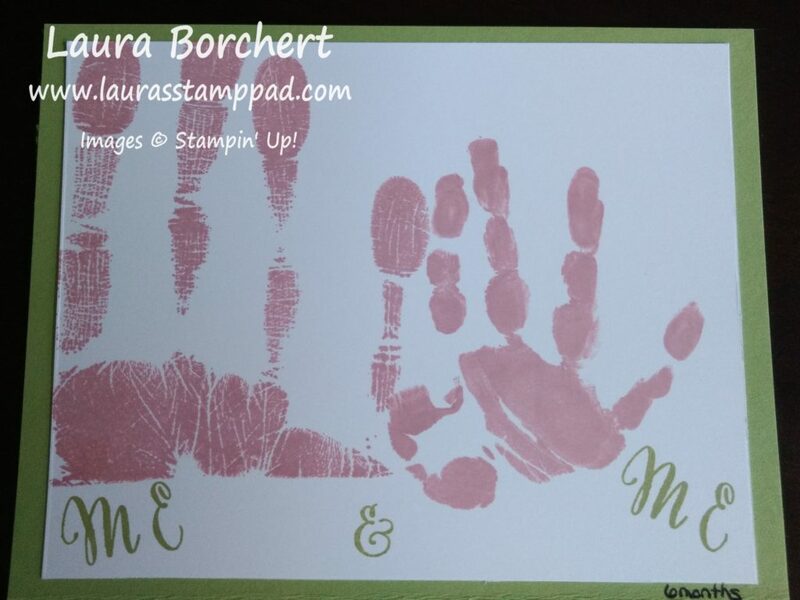 The Happy and Baby came from the Crazy About You Stamp Set. 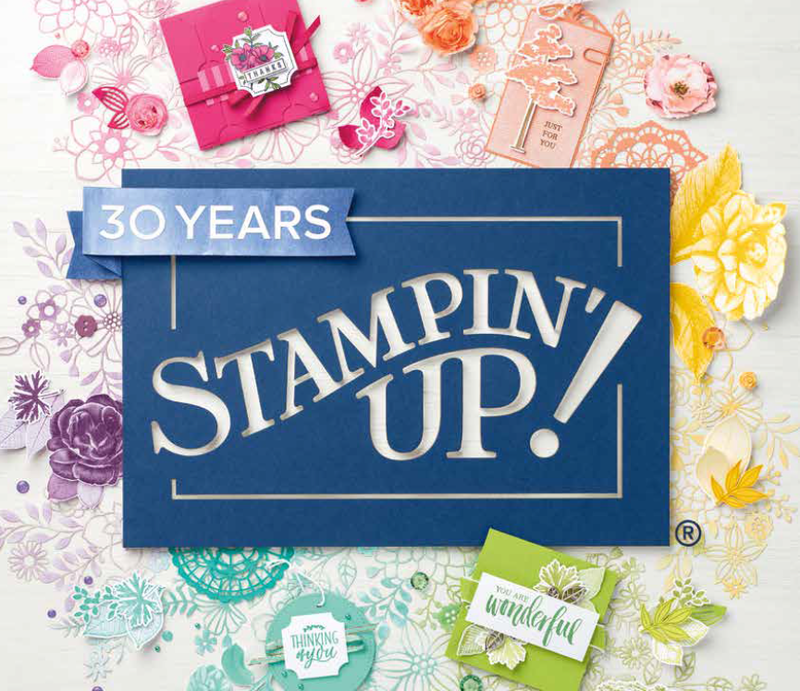 The Birthday greeting came from the Thoughtful Banners Stamp Set. I love how he looked through all of my stamps to find the perfect greeting! 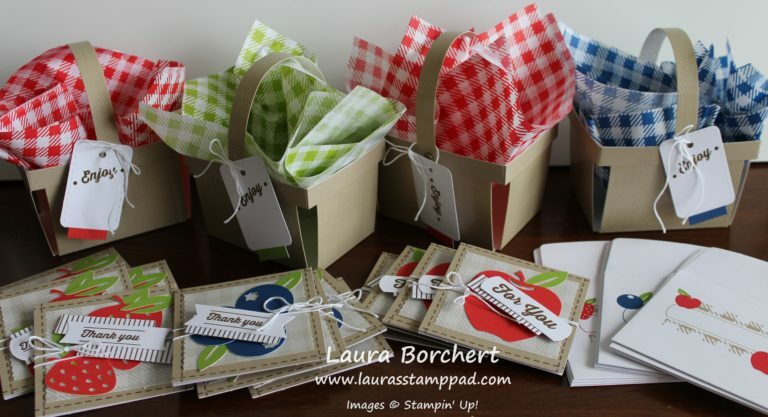 He also used lots of Stampin’ Dimensionals…..you know how I love those! 🙂 You can see some of the other cards my husband has made for me here, here, and here! And then I got this card…..in the mail on my actual Birthday!!!! 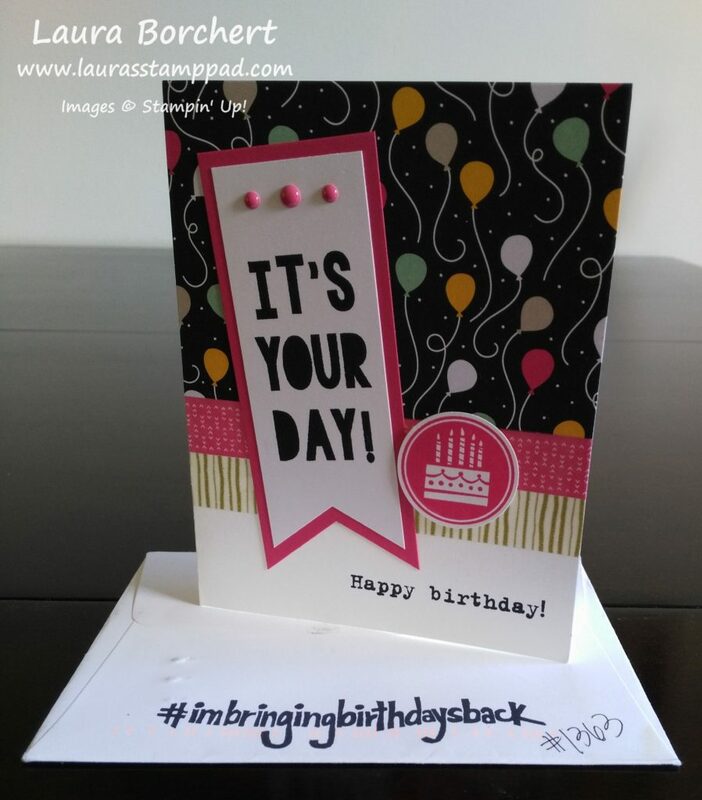 Shannon West, from Stampin’ Up, is the one who started the #imbringingbirthdaysback and I got on her list to receive a birthday card from her. I was so excited back in January at the thought that she might send me one so of course I couldn’t contain my excitement when it actually arrived. My heart was racing and I was soooooo giddy! It is super fabulous and PINK! I just love it and can’t believe how amazing she is to send out 1,363 birthday cards that are all hand made, hand written on the inside, and so amazing. I truly felt touched by this card. After all that is how every hand-made card should make you feel! These aren’t all of the cards as I have received a few after this photo too! Some are hand-stamped and some aren’t but they are all from friends and family that mean the world to me! Thank you everyone for all of your kind words on my blog, social media, and in person. I had an amazing birthday and look forward to another great year!!! Have a wonderful weekend and I’ll see you back here on Monday! 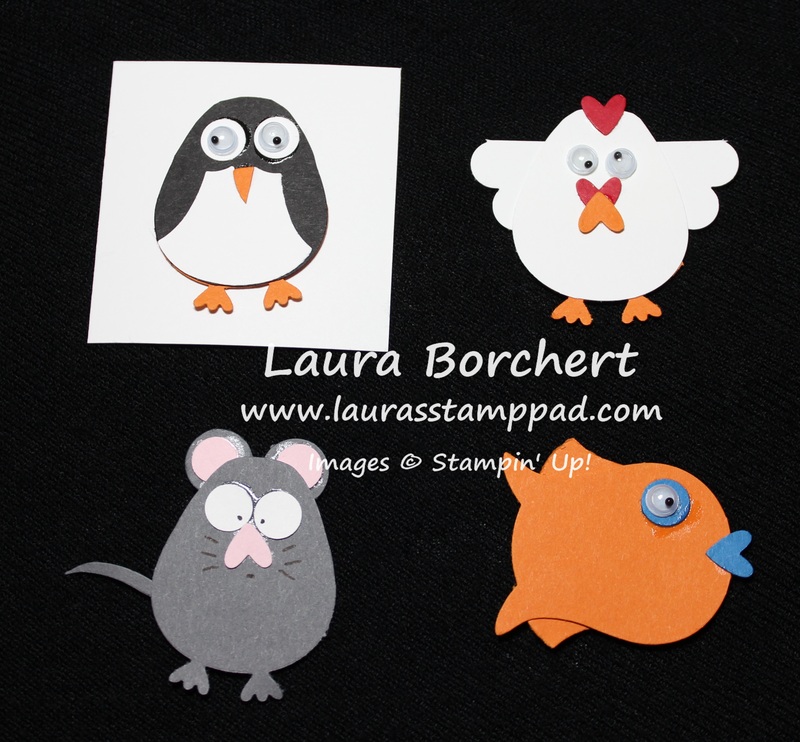 Technique Tuesday – Animal Owl Punch Art!!! Happy Tuesday!!! That means I have a fabulous technique to share with you! 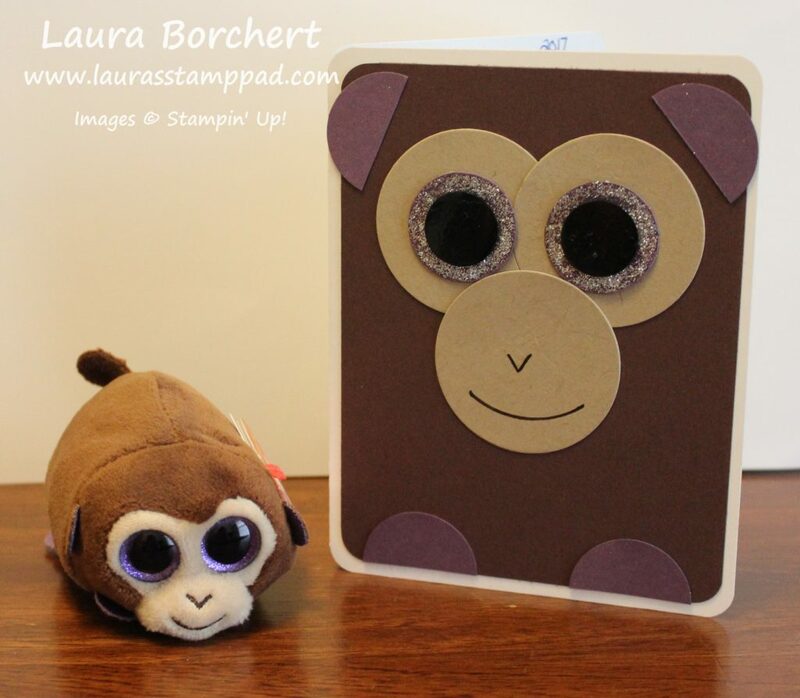 I am doing 4 more animals using the Owl Builder Punch!!! You can see the Punch Art samples from the past months here, here and here! I hope you are enjoying all of these fabulous creations as much as I am! Aren’t these adorable?!?!?! The penguin is perfect for Christmas and Winter cards. 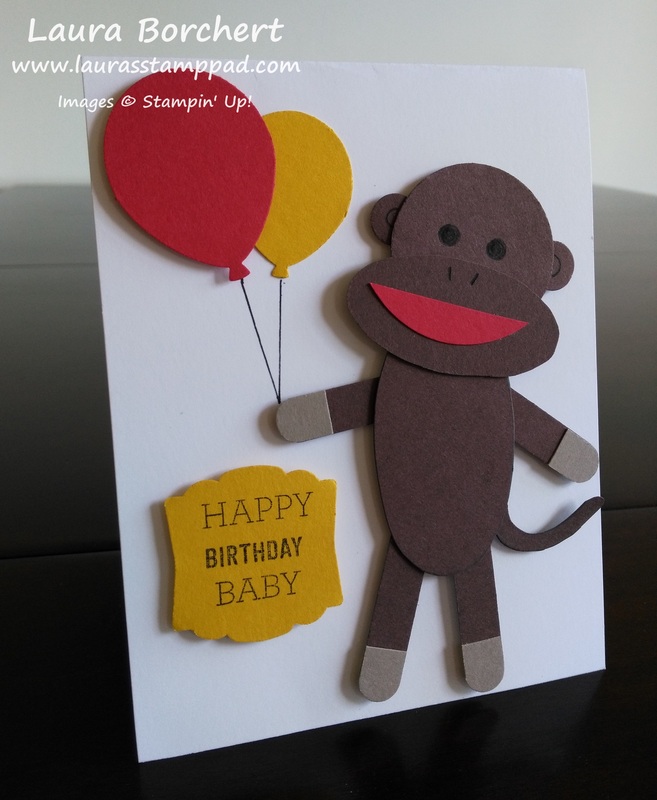 They are all super cute for kid’s cards, birthday party decor and so much more! You can see the wet glue in my photos so it looks like I will need to be a little bit more precise on glue use next time! It really isn’t that noticeable in person but the camera really made it shine! 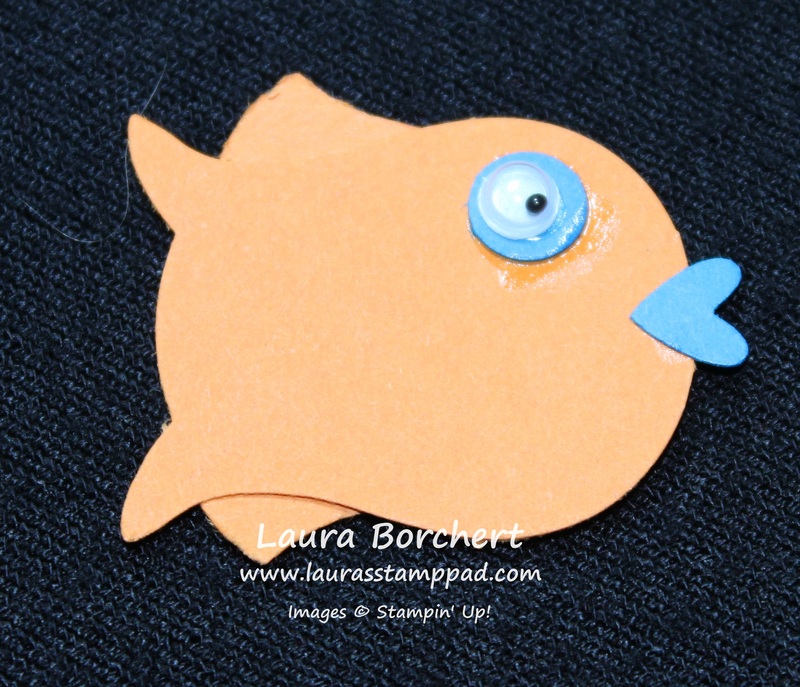 For the fishy, I used just the Owl Builder Punch and some Pumpkin Pie and Pacific Point cardstock. You will need 1 Owl Body, 2 Breast Pieces, 1 Heart, and 1 Circle (the one above the owl body). Snip off the owl feet and place the heart there for the lips. The breast pieces peak out on the top and bottom as fins. I attached the googly eye to the blue circle and then to the fishy! For this one, I used the Fine Tip Glue Pen and again I used a little bit too much! Once it was dry, it didn’t shine as much as it did in the photos! 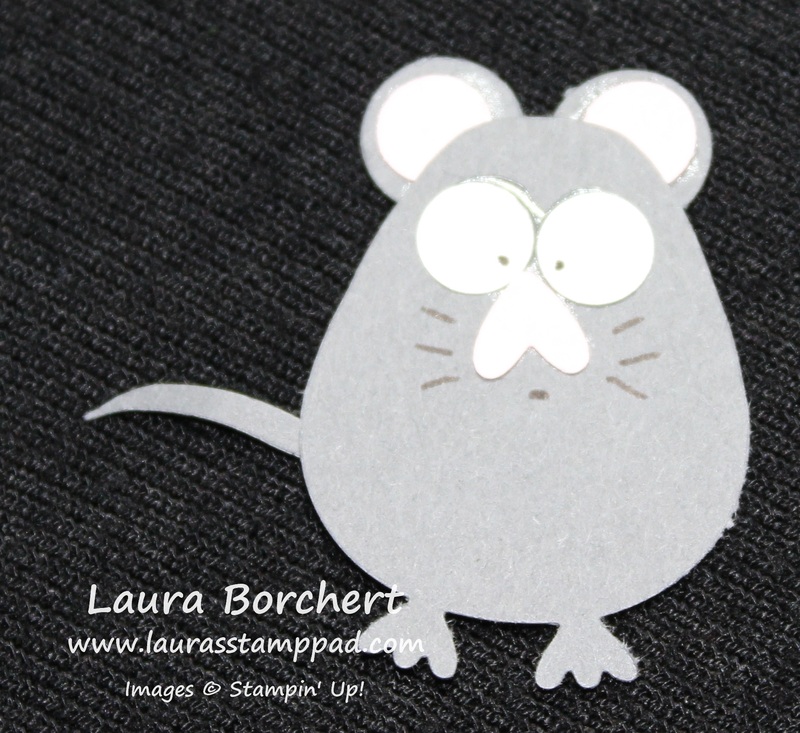 For the little mousy, I used the Owl Builder Punch and some Basic Gray, Whisper White, and Pink Pirouette cardstock. You will need an owl body, heart, 2 white circles (the smaller ones above the body), 2 pink small circles, and 2 gray larger circles. Then for the tail you will line up the punch with the already punched owl body and just allow a little sliver to be punched out. Don’t worry I show it in action in the video tutorial below! 🙂 I layered the gray and pink circles together and placed those on the owl body after cutting off the owl ears/horns and rounding it out! I added the white circles for the eyes and with a Basic Black Marker added a little beady eye. After adding the pink heart as a nose, I drew a few whiskers on there as well! You could always use googly eyes as well! I used the Fine Tip Glue Pen for all of the adhering but again less is better! 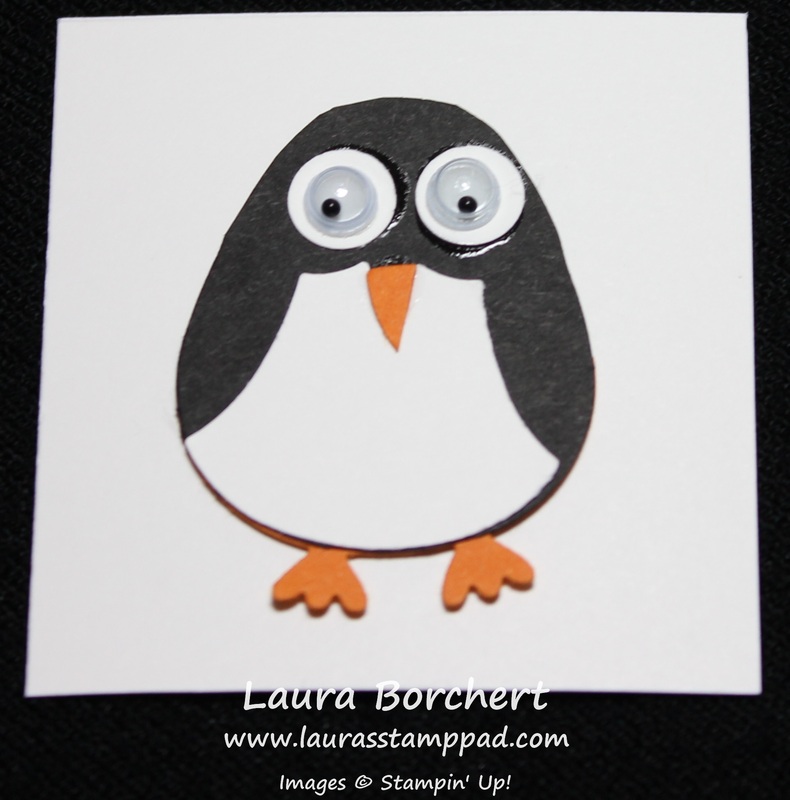 For the Penguin, I used the Owl Builder Punch and some Basic Black, Whisper White, and Pumpkin Pie cardstock. You will need an owl body, breast piece, partial body with the feet, a heart, and 2 white circles (the smaller ones above the body). I started out by cutting off the owl ears/horns and rounding it out like those above! I snipped off the black feet and adhered the orange feet to the penguin. I placed the breast piece on pretty low on the owl body and then the white circle up higher for the eyes. You can always draw them in with a marker or add googly eyes! I really love googly eyes because they really make him come to life. 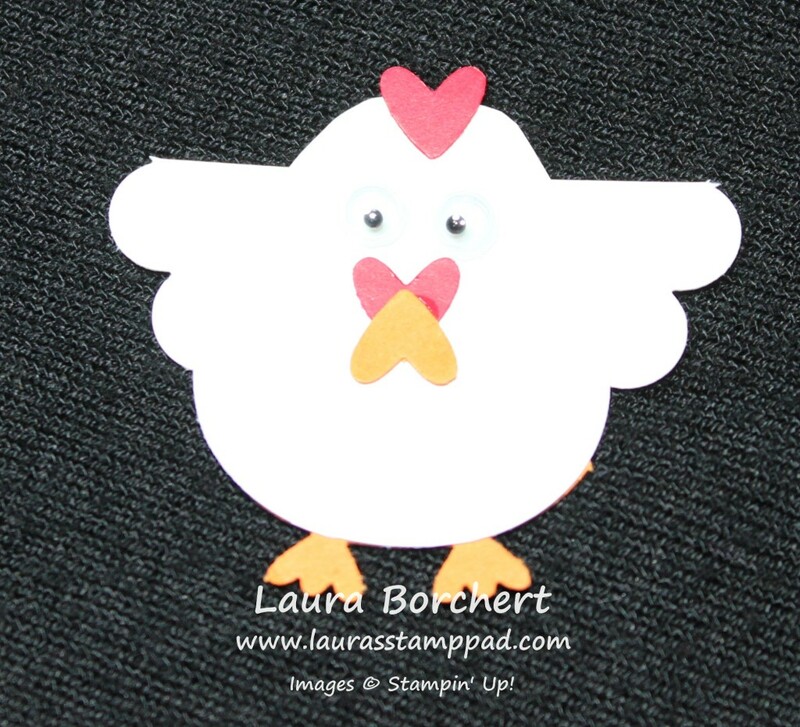 For the little beak, I just cut it out of the heart. I used the Fine Tip Glue Pen on all of the little pieces which made it super easy but I need to use less next time! To see all of these in action, check out my Video Tutorial below or by clicking here! 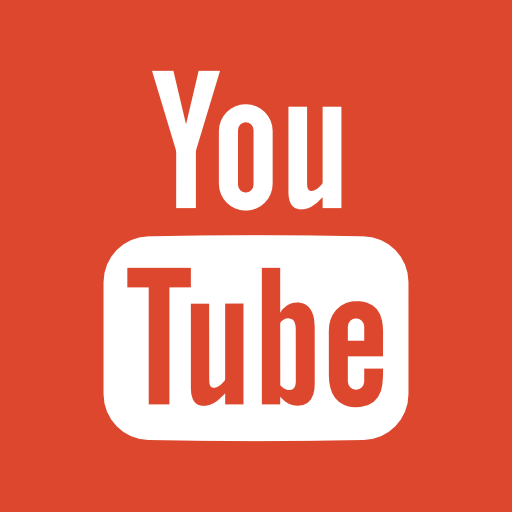 Don’t forget to give it a thumbs up if you liked it and be sure to subscribe so you don’t miss out on any more of these and other fabulous videos! Rudolph The Red Nosed Reindeer!!! Little Rudolph is so precious!!! He was created with the Owl Builder Punch and Bird Builder Punch! You can see a Video Tutorial on how he was created here! 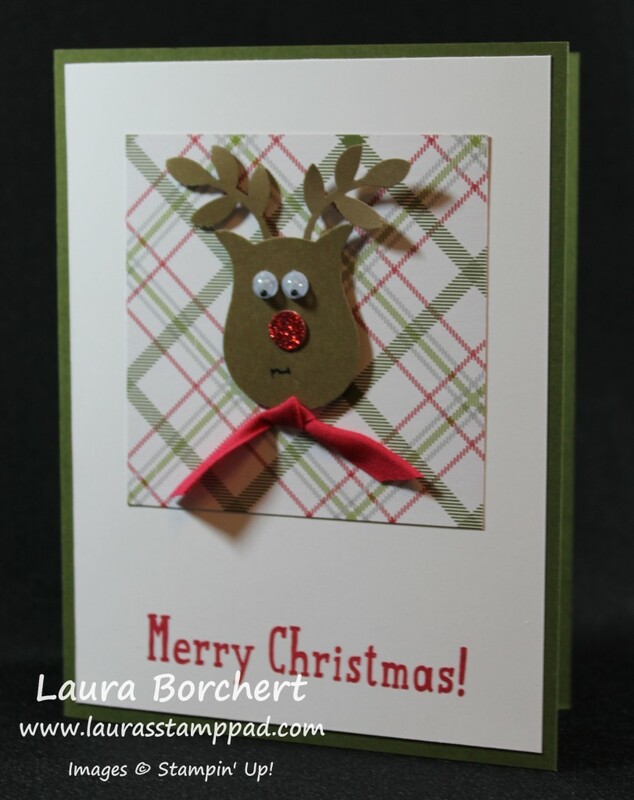 I added the Reindeer to a piece of Merry Moments Designer Series Paper. I thought he needed a little something under his chin as well so I added a knot of Real Red Cotton Ribbon and attached it with a Mini Glue Dot! I added the Reindeer to a piece of Whisper White measuring 4″ x 5-1/4″ and stamped the greeting from the Snow Place Stamp Set in Real Red. This was all added to a Mossy Meadow card base! This card is super cute and would be perfect for the little ones on your list and everyone else!!! 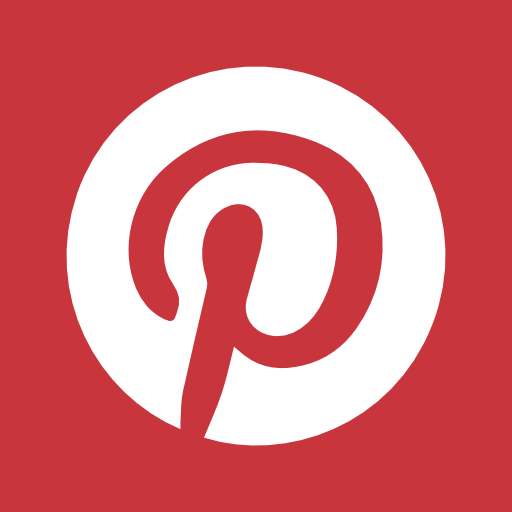 What is your favorite image for Holiday Cards – Snowflakes, Rudolph, Santa, Nativity Scene, Ornaments, Trees, etc?? Let me know in the comments below! Today is a special day here, it is my husband’s birthday!!!! I love celebrating birthdays because everyone has one and it truly is a day to celebrate life! Each year I like to create a special one-of-a-kind card for Brad. That is because I want it to be special for him and because it isn’t easy so I don’t be making multiples of this one!!! 😉 You can check out some of my past cards here, here, here and here! You can probably see a pattern here – video games!!! 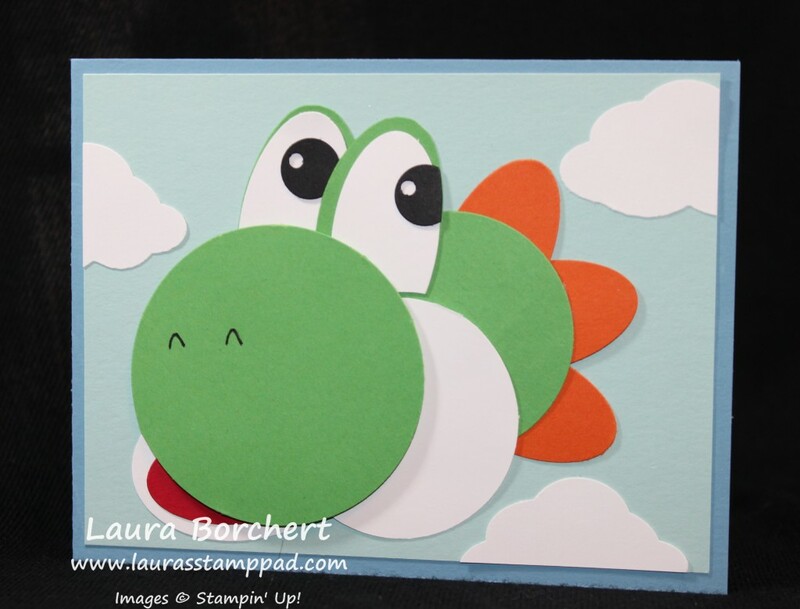 For my Yoshi Card, I used various punches including the 1/2″ Circle (black eye), 2-1/2″ Circle (Nose), X-Large Oval (White eyes and mouth), Large Oval (Eyes, tongue, and bumps on the back of his head), and 2″ Circle (white cheek and green head). I also used the 1/8″ Handheld Punch to create the white dot in the black portion of the eye! While it looks fairly simple to just punch out the pieces and place them down, it sure wasn’t. The placement seemed to take me forever. I did trim some on the eyes as well so make less green along the edges of the eyes! Once I had Yoshi all assembled, I placed him on a piece of Pool Party cardstock. I added a few clouds which I punched out with the Tree Builder Punch! I layered all of this onto a Marina Mist card base! It may not look exactly like Yoshi but I do know it was made with love and for someone really special. To me, that is all that matters! 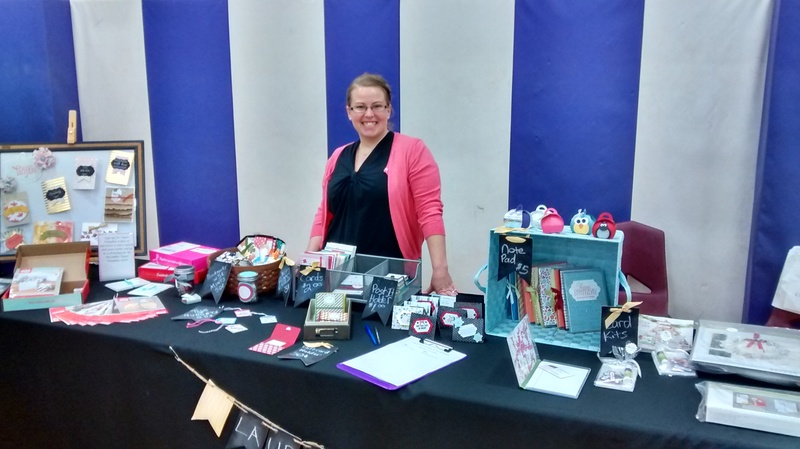 I thought I would share a little Crafting Q&A with you that I asked Brad. 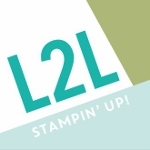 How Many Stampin’ Up! Color Families Are There? 8….6……4 but that didn’t sound like enough. Final Answer 4! Of course it isn’t a Friday without the Weekly Deals!!! I have been having lots of fun with the Snow Friends Framelits. You can check out samples here and here! You can check out my wreath here! 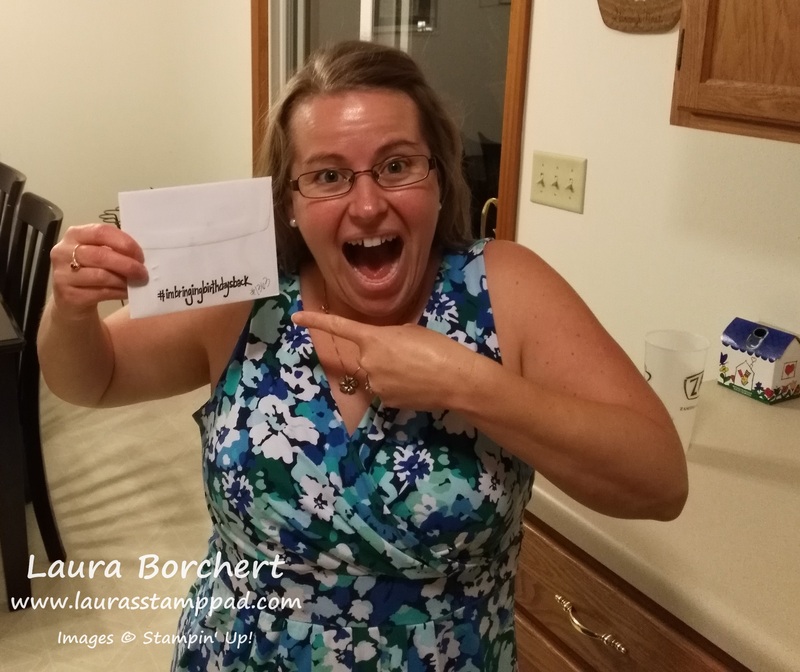 If that isn’t exciting enough……..drum roll……..Stampin’ Up! Online Extravaganza Sale begins on November 23rd and runs through the 30th!!! Woot Woot! Sneak Peak here – Online Extravaganza Sale (Buy 3, Get 1 Free DSP….Eeeee) and I’ll be posting more on Monday when it begins!!! Be sure to subscribe along the right hand side of my page so you don’t miss out on these amazing deals! Have someone crafty on your Gift List? 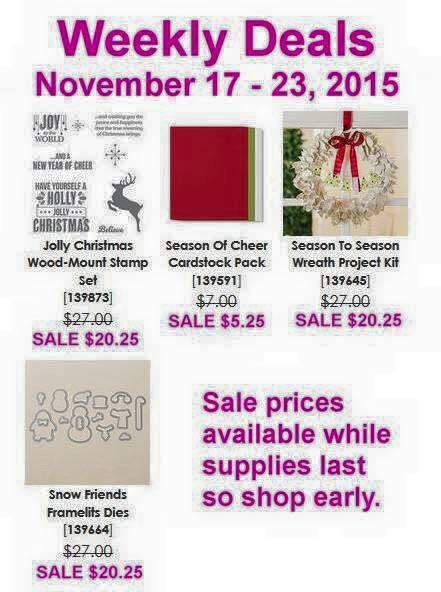 Get supplies when they are on sale! Don’t forget to get a little something for yourself as well! What about all of those are aren’t crafty or don’t have a lot of time for crafting??? 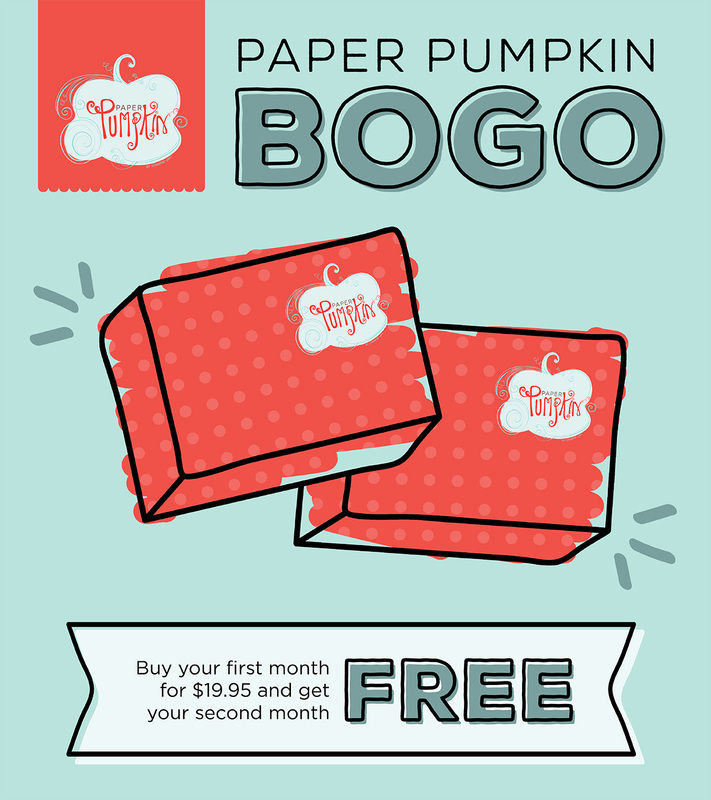 Paper Pumpkin is perfect for them because it comes with everything you need, instructions for the project and only takes 30-45 minutes! It is a great project to share with those you love and enjoy some quality time together! 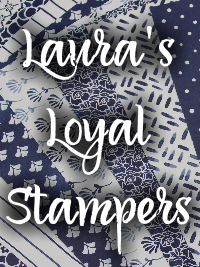 I will be offering DOUBLE Laura’s Loyal Stampers Points during the Extravaganza as well!!!! Woot Woot!!! 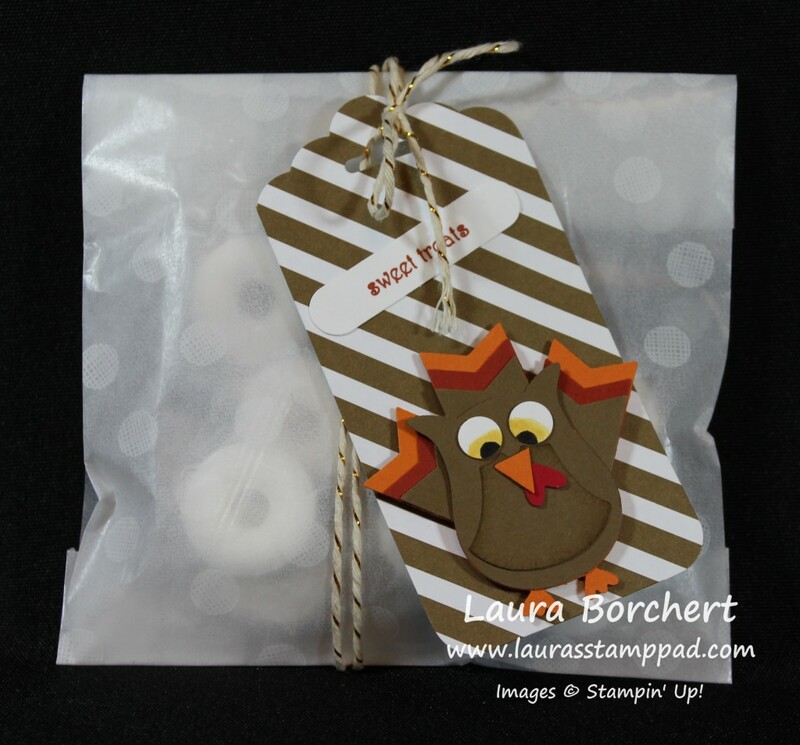 Here is an adorable little Turkey Treat Bag that I just had to share before Thanksgiving! You can check out the Video Tutorial here for how to make the turkey and just add him to a tag for an adorable treat!!! See you back here on Monday! Have an amazing weekend!